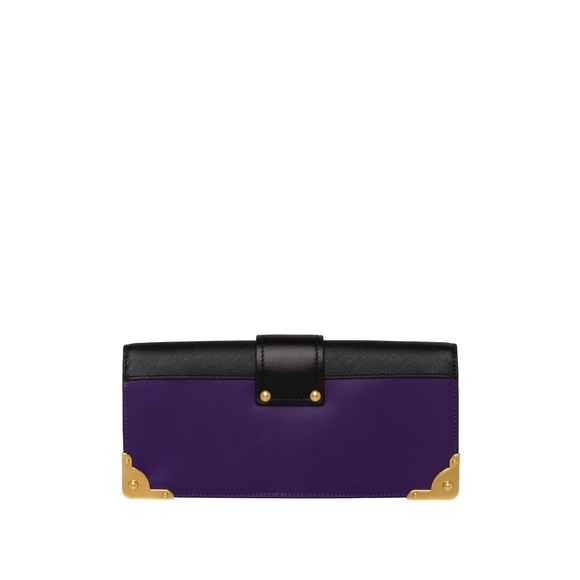 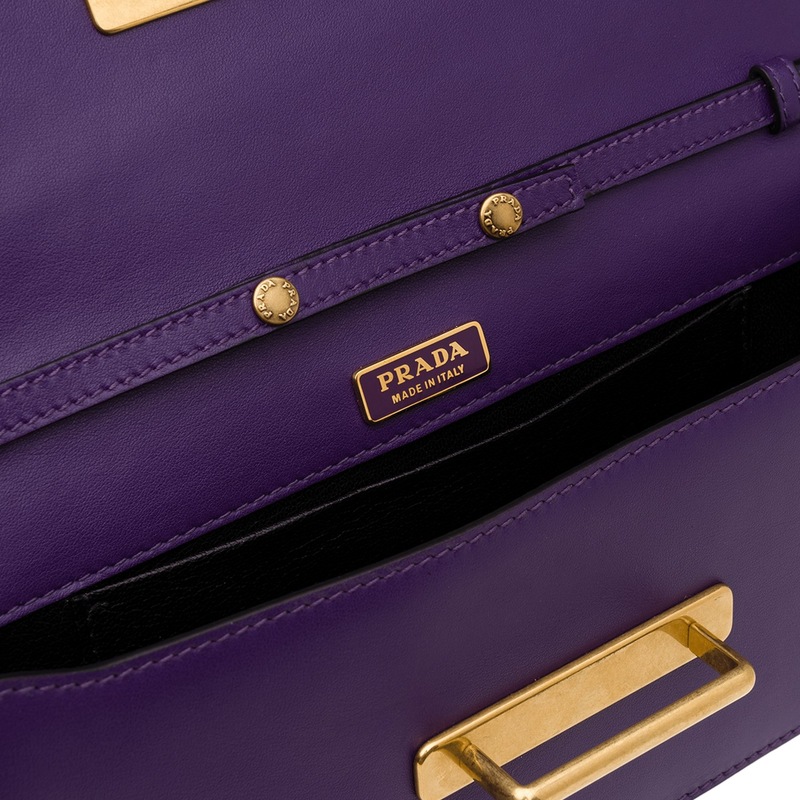 The Prada Cahier clutch is inspired by the shape of a book. 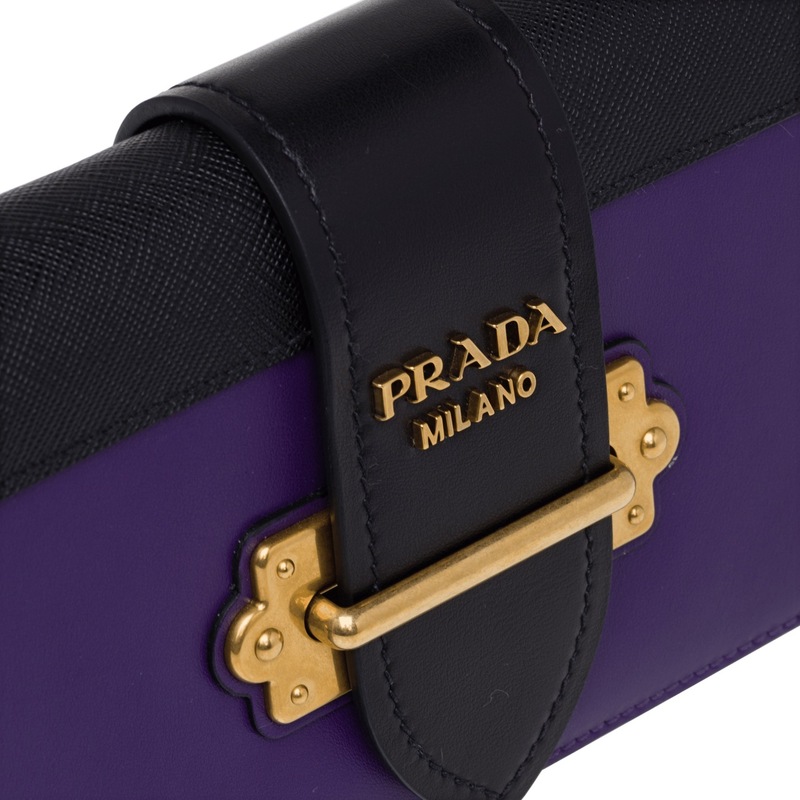 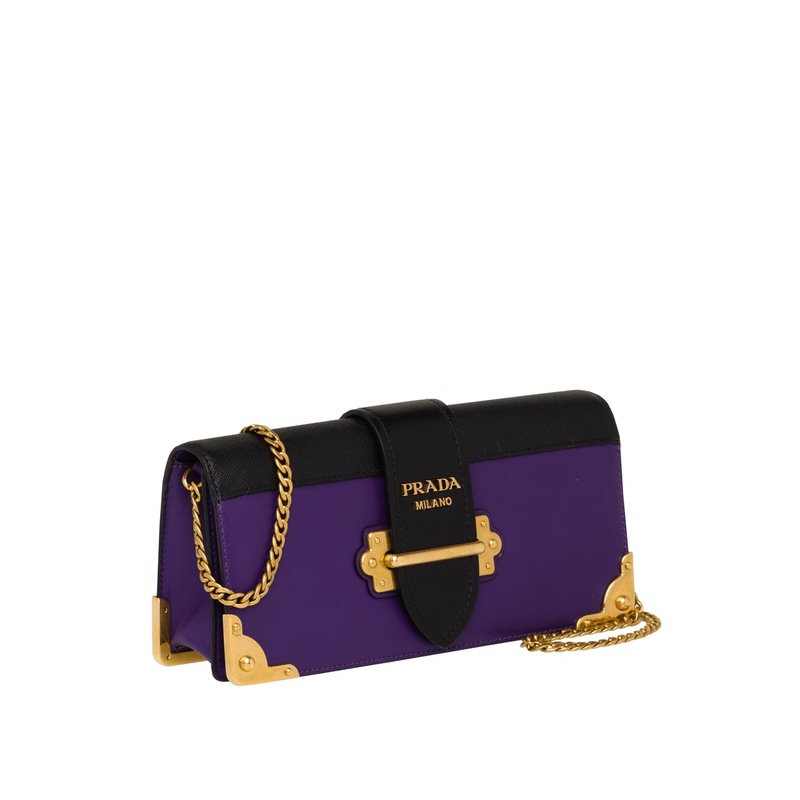 Contrasting calf and Saffiano leathers, it is accented with bronze-toned hardware and Prada lettering. The detachable chain shoulder strap adds versatility.